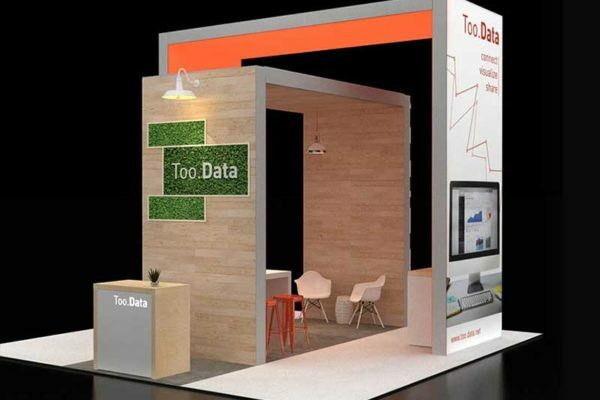 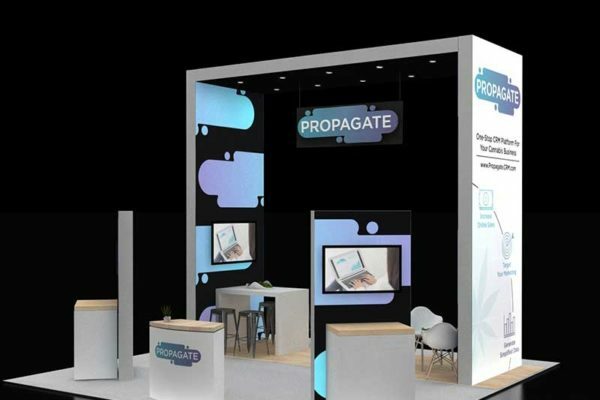 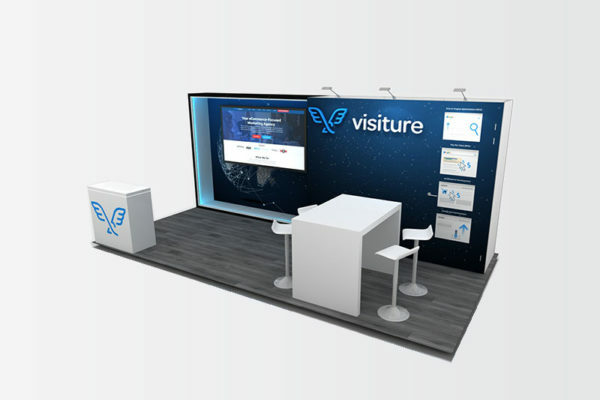 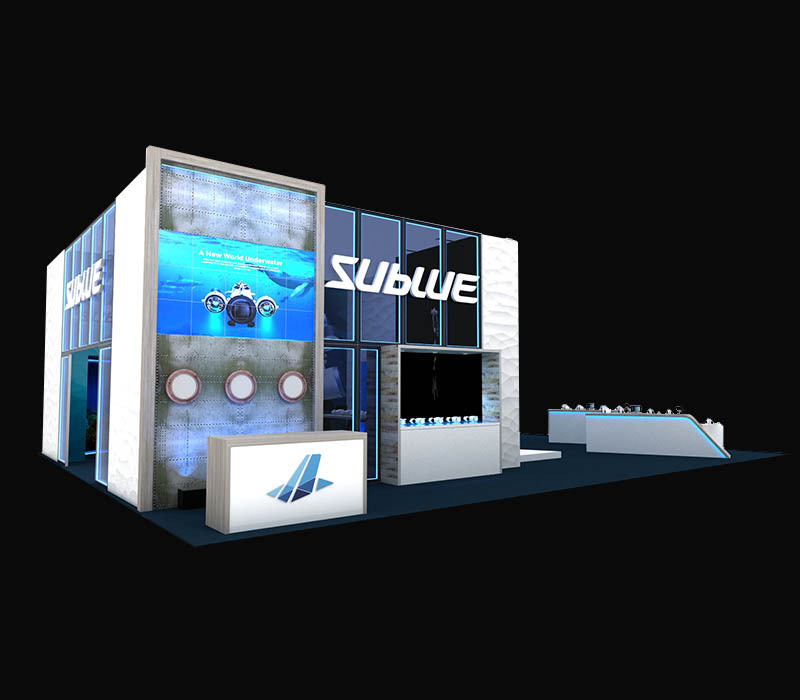 This impressive 40 x 50 custom trade show display has many design features that cannot be missed on the show floor! 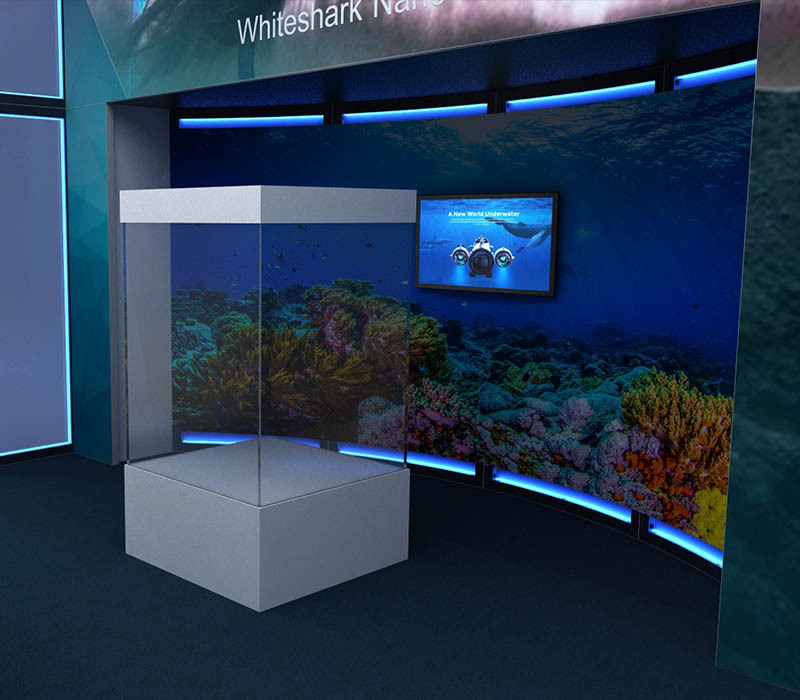 The side wall includes LED video tiles to play your video content. 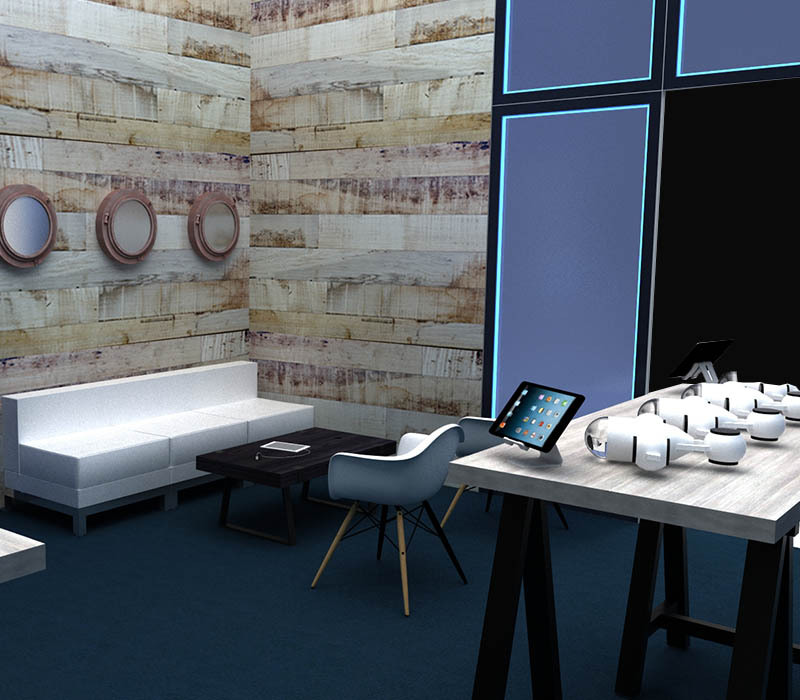 All reception counters and workstations are custom-made to fit the colors and textures in this booth. 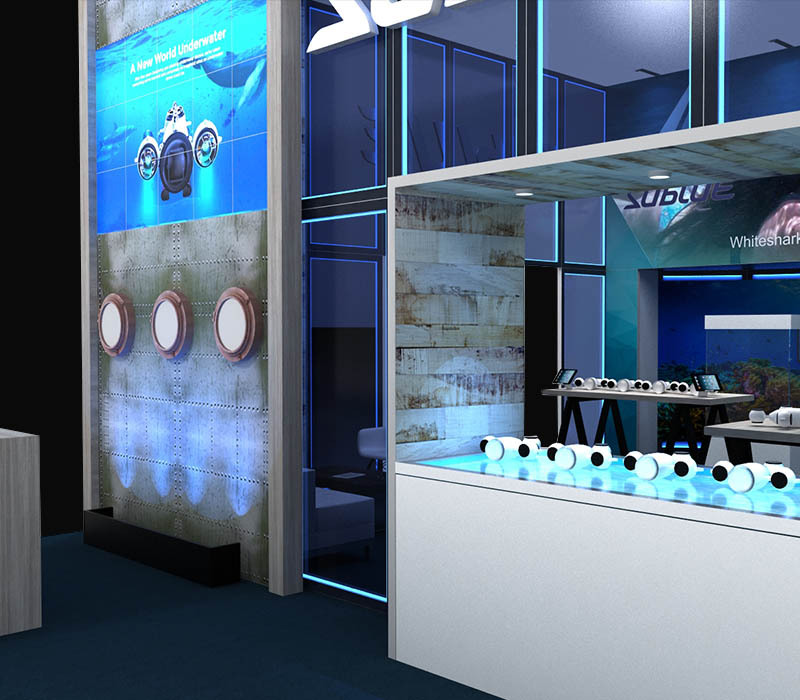 The mixtures of white-washed wood graphics and light blue LED lights are a perfect mix that reflects the product's high-tech and nature-inspired characteristics. 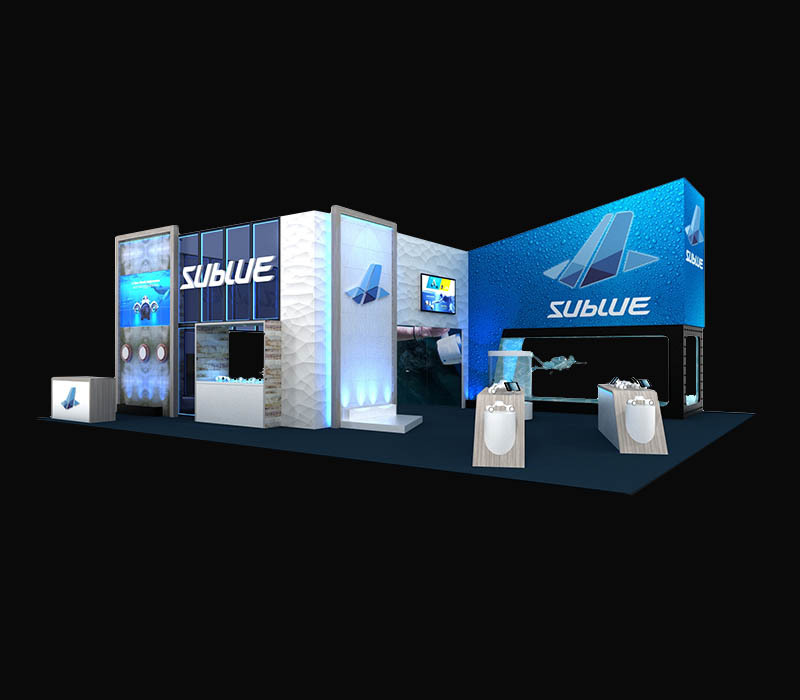 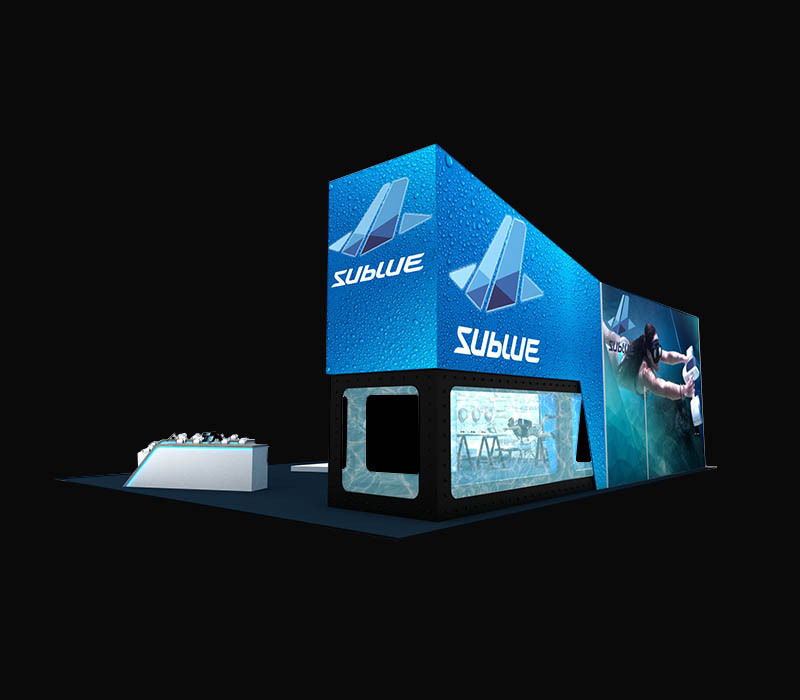 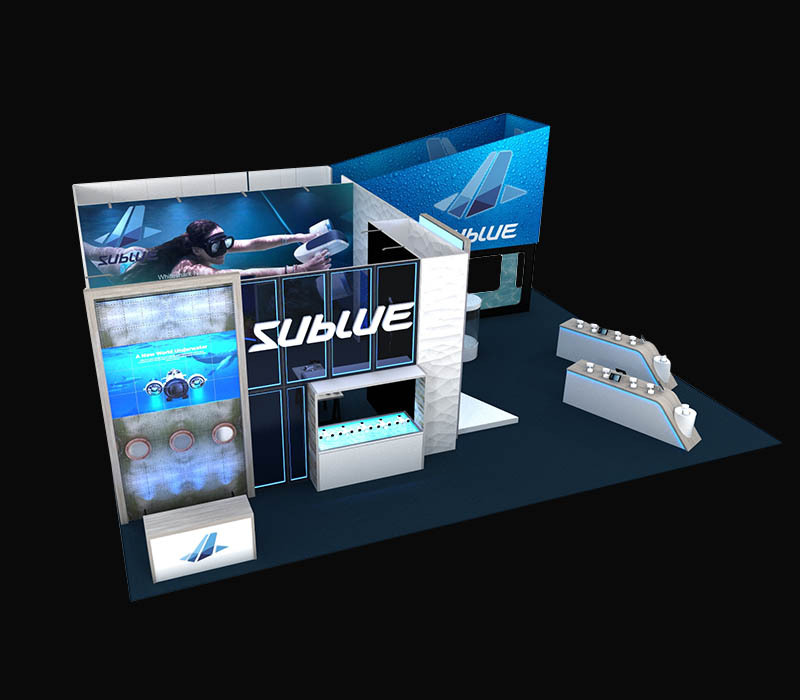 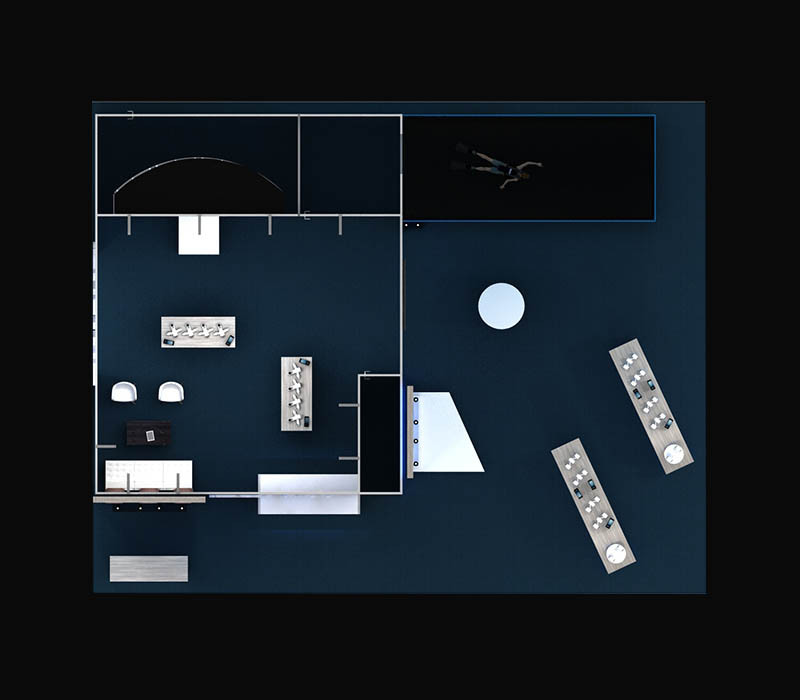 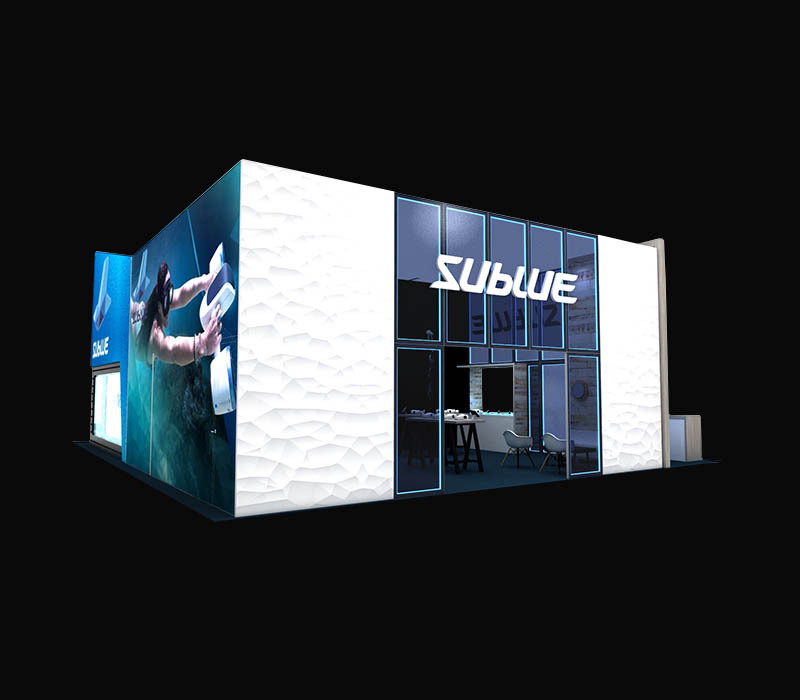 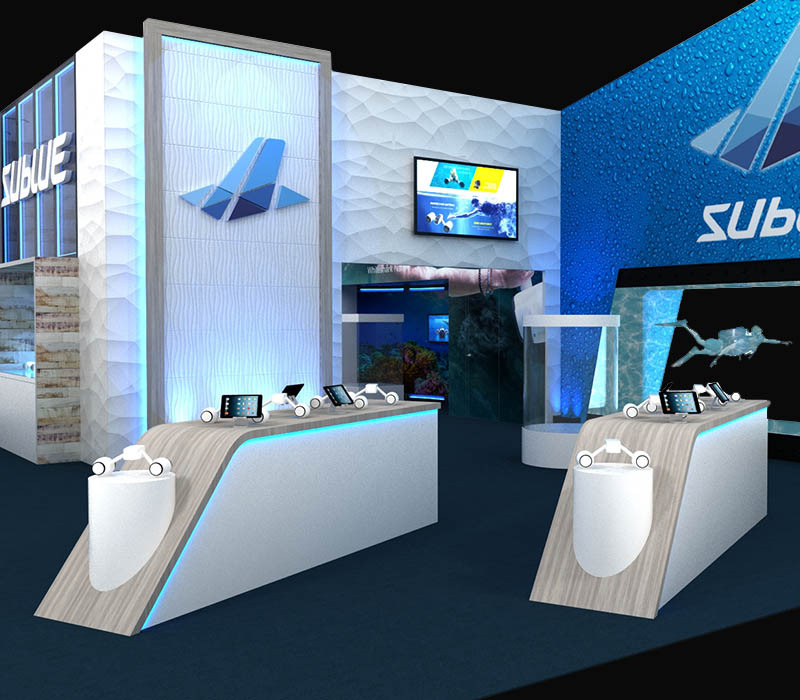 Other detailed design elements include submarine styled windows, blue uplit countertop, pucks lights, small platform stage, and edged lit translucent headers and paneling. 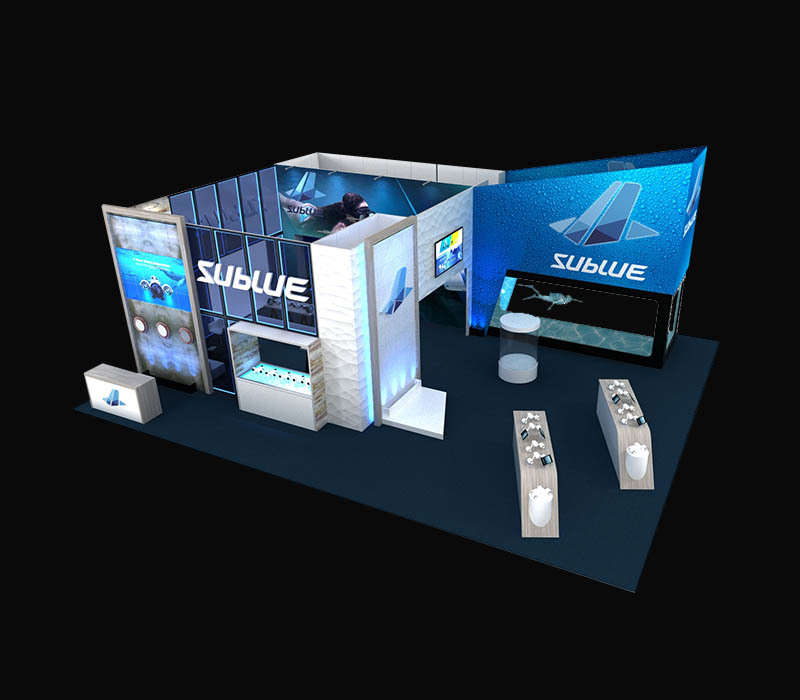 This booth is a perfect fit for CES or any other tech/electronics trade show.